Xiaomi has made a furor today. It has managed to announce tons of new products, including the Xiaomi Mi 8 Youth Edition, the Xiaomi Mi 8 Screen Fingerprint Version, the Xiaomi Xiao AI Smart Alarm Clock, and so on. And there also was a new laptop, namely the Xiaomi Notebook Youth Edition. 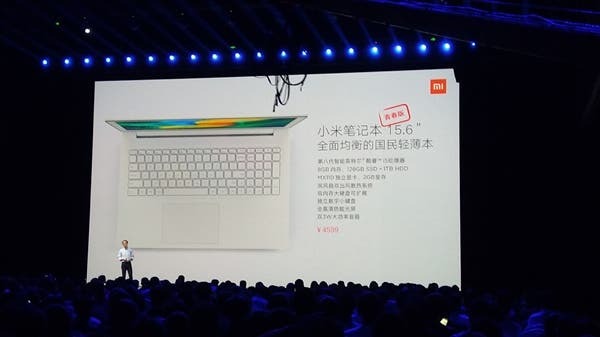 As the name suggests, this is the lightened variant of the original full-size keyboard Xiaomi Notebook 15.6, and it’s priced at 4599 yuan ($671) only. The new Xiaomi Notebook Youth Edition was announced a ‘comprehensive and balanced national thin notebook.’ It continues the logo-free design style of its predecessors and comes with a metal housing. The thickness of the whole machine is 19.9mm. Unlike other Xiaomi laptops, its body is white. There are also an independent digital keypad and dual 3W high-power speakers. In terms of core features, the Xiaomi Notebook Youth Edition uses a 15.6-inch 1080P resolution display, an eight-generation Intel Core i5 processor, an 8GB of RAM, an MX110 discrete graphics with a 2GB of video memory, and a 128GB SSD storage, which is accompanied by a 1TB mechanical hard disk. However, all latest laptops coming our way from Xiaomi come with great heat dissipation. So the Xiaomi Notebook Youth Edition does. It adopts a dual-fan cooling system, which uses a built-in dual fan, double air outlet with 2+2 heat pipe layout to ensure long-lasting stable performance. The company has also managed to put a few interfaces on its thin body. They include a three-in-one card reader, USB 2.0, Gigabit Ethernet port, HDMI interface, two USB 3.0 ports, headset jack, etc. At this moment, the launch date has not been announced. But we expect for it to go on sale in a week.